Join us for an evening of chamber music and history featuring the work of Joseph Bologne, the Chevalier de Saint-Georges. Famous swordsman and athlete. Decorated military officer during the French Revolution. Highly regarded violinist, composer, and conductor. A true renaissance man, Joseph Bologne, the Chevalier de Saint-Georges, accomplished all of these feats while being a man of African descent in 18th century France. 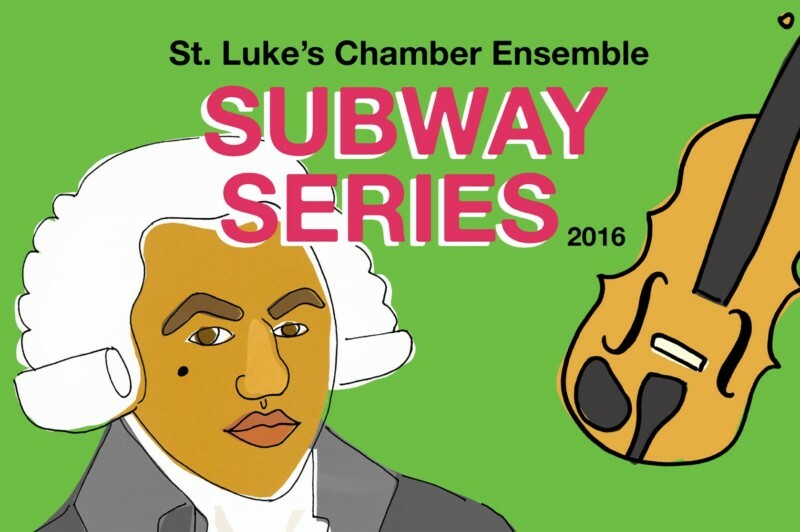 St. Luke’s Subway Series brings free chamber music concerts for all ages across the five boroughs. This program will feature the works of Saint-Georges, as well as Haydn and Gossec, both of whom worked directly with the composer during his lifetime. Actor Kareem M. Lucas of The Classical Theatre of Harlem will also join us to bring Saint-Georges’s fascinating biography to life. Hosted by WQXR’s Terrance McKnight. Guests are invited to join us for a food drive hosted by City Harvest. Bring nonperishable food donations to the performance, and help feed hungry New Yorkers!